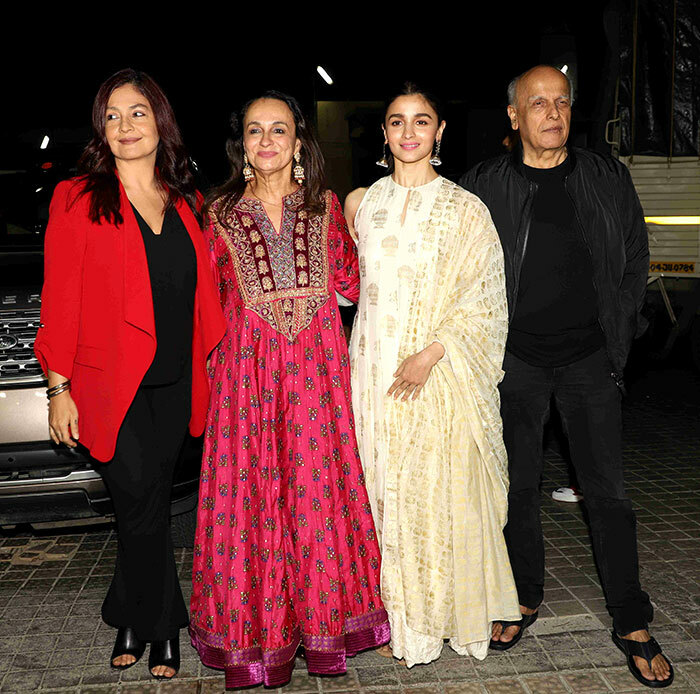 Alia and Pooja Bhatt converged for a special screening of No Fathers In Kashmir, which features Soni Razdan in a pivotal role. Alia Bhatt picked a suit from Masaba's collection. Pooja Bhatt added a dash of red to her otherwise all-black look. Alia Bhatt stopped and posed with her father Mahesh Bhatt. We are fans of Kalki Koechlin's Fatherland saree. Rasika Duggal opted for a summery look in Eka separates. Priyanka Bose also aced the ethnic look. Shabana Azmi was all smiles. Alia took a selfie with No Fathers In Kashmir director Arvind Kumar. Actor Jim Sarbh was also there. In another part of the town, actor John Abraham watched his film RAW- Romeo Akbar Walter with his co-stars and pals. Mouni Roy's radiant smile definitely stole a million hearts. Elli AvrRam was dressed in pink. Arshad Warsi and Maria Goretti called it a date night. John's co-star Sikandar Kher wore an ethnic outfit. We also spotted filmmaker Juno Chopra.